Rob Babel is currently in his 19th year as Director of Bands at Ft. Zumwalt North High School in O’Fallon, MO and his 24th year teaching. Under his direction, the Ft. Zumwalt North Jazz Band has three times presented concerts at The Midwest Clinic (2004, 2010, 2015) and the Missouri Music Educators Conference (2005, 2009, 2015) and once previously at the Jazz Educators Network Conference (2010). In addition, the FZN Wind Ensemble has consistently earned superior ‘I’ ratings at Missouri State Contest. The 150-member Panther Pride Marching Band is a three-time Bands of America Regional Finalist and the 2016 St. Louis Super Regional Class AA Champion and Finalist. Mr. Babel has been recognized as the Ft. Zumwalt North Teacher of the Year and the St. Louis Metro Eight Music Educator of the Year. In 2016, he was named the Missouri Music Educator of the Year. He also received the Charles Emmons Oustanding Band Director award from the Lamda chapter of Phi Beta Mu. He remains active as a saxophone teacher, clinician and adjudicator and currently resides in O’Fallon with his wife Tina, and their three children, Alex, Katie, and Chloe. Patrick Stewart is in his 14th year of teaching and 9th in the Fort Zumwalt School District. He is the director of bands at Fort Zumwalt North Middle School and the assistant at North High School. His responsibilities include directing all beginning band students as well as the 7th and 8th grade concert bands. He assists at the high school level with the concert band and is the marching and brass instructor for the Panther Pride Marching Band. 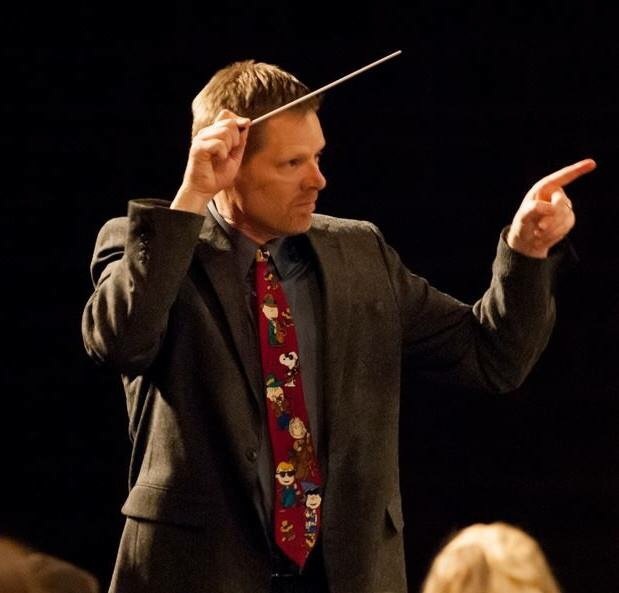 His 2015-16 NMS 8th Grade Concert Band was the first ensemble in school history to perform at the Missouri Music Educators Association Conference and he was named the NMS “Teacher of the Year” in 2015. His bands at NMS have earned superior ‘I” ratings at every adjudicated event since he took over the program. Mr. Stewart is a 2003 graduate of Southeast Missouri State University where he studied trumpet with Dr. Marc Fulgham and conducting with Dr. Robert Gifford and Mr. Barry Bernhardt. He previously taught at East Prairie (MO) and Sullivan (MO). He is in demand across the state as a instructor, adjudicator, and clinician. Mr. Stewart currently resides in Washington with his son, Sean. Matt Schultz is in his second year of teaching at Fort Zumwalt North High School and Middle School and plays regularly with many groups in the St. Louis area. His duties include assisting with all bands at the high school, including being the woodwind instructor for the Panther Pride Marching Band, and middle school and leading the North Middle School jazz program. He graduated from the University of Missouri- St. Louis where he earned his music education degree and studied saxophone with Joel Vanderheyden and Adrian Honnold. He has performed with jazz legends such as Clark Terry, John Pizzarelli, Tom Scott, Bob Mintzer, Wayne Bergeron and many many more. He is the current STL Metro 8 Middle School Jazz Vice-President.